Kevin Barry’s James Joyce: Occasional, Critical, and Political Writing contains over fifty pieces ranging in topic from the literary theorizing of ‘James Clarence Mangan’ and ‘Realism and Idealism in English Literature’ to the differing political interventions of ‘The Shade of Parnell’ and ‘Politics and Cattle Disease’ and in genre from short book review to spoken lecture. These disparate writings, drawn mainly from the first half of Joyce’s career, have always had a troubled place within the dominant strains of Joyce criticism. Although they are frequently referred to in commentaries on Joyce, the question has always been precisely what to make of them. Are they genuine expressions of Joyce’s intellectual and emotional attitudes or part of a developing and deliberately fashioned public persona? Is there any value, regardless of the intent of the pieces, in attempting to read Joyce’s fictional writings through these non-fictional writings? If so, is it legitimate to describe Ulysses and Finnegans Wake with reference to writing that precedes them by several decades? Such questions haunt every discussion of Joyce’s non-fiction writing. The tremendous usefulness of these works as a source of pertinent and pithy quotation, and at times as a quasi-genetic source for later works, only aggravates the problem. “Outside his jurisfiction” seeks to bring these issues into focus, to interrogate the problematic boundary between Joyce’s ‘thoughts’ political and aesthetic and his writings, to ask what is at stake in the prefix ‘non-‘ to ask, indeed, to what the designation ‘non-fiction’ can reasonably be made to refer. Perhaps most importantly, this conference aims to consider the status of Joyce’s -- and by extension any artist’s -- non-fictional writings in relation to a much wider creative oeuvre; how can we appropriately connect, or, if necessary, separate, an artist’s life and opinions and his works? 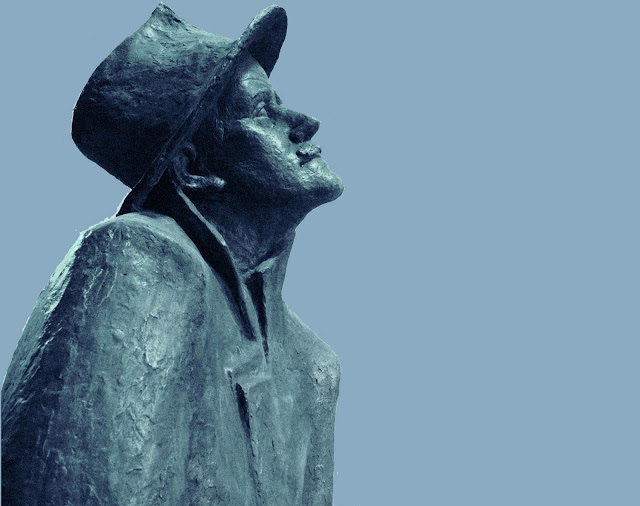 We welcome abstracts of no more than 500 words for papers addressing any aspect of Joyce’s non-fictional writings, whether in conjunction with his fictional works, or in their own right. We especially welcome papers that problematize or stretch the definitive boundaries of the term ‘non-fiction’. Can we think of Ellmann’s invention of the character ‘James Joyce’ as a piece of non-fiction (or perhaps ‘not-quite-fiction’) that has, more than any other, influenced our readings of Joyce’s fictional writings? How do we approach Joyce’s letters as pieces of writing? What is (and what should be) the status of Joyce’s prose ‘epiphanies’, which were never published in his life-time and which read like a sort of creative diary. Our aim is to address these and many other questions, in a conference that re-envisions Joyce’s non-fictional writing and reinvigorates its use in future criticism.